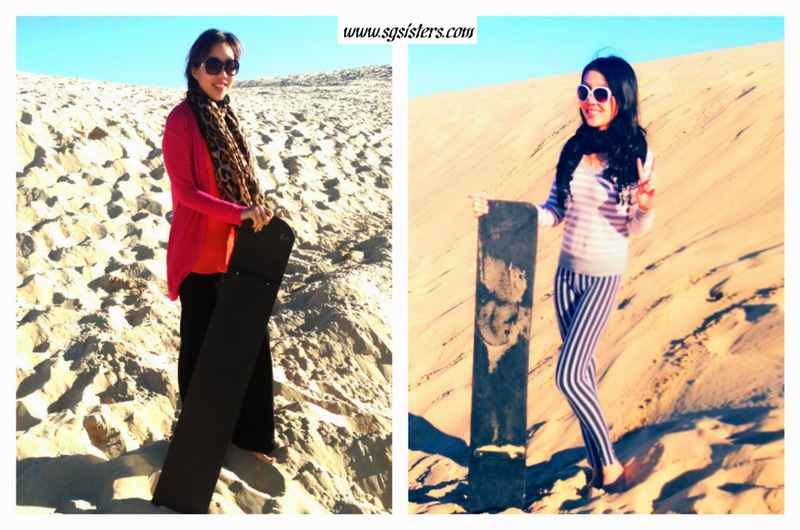 SYDNEY - Sand-boarding at Stockton Sand Dunes, Anna Bay, Port Stephens, Australia - I flew to Sydney to visit my sister Lora for 2 weeks and we spent loads of quality time together catching up. 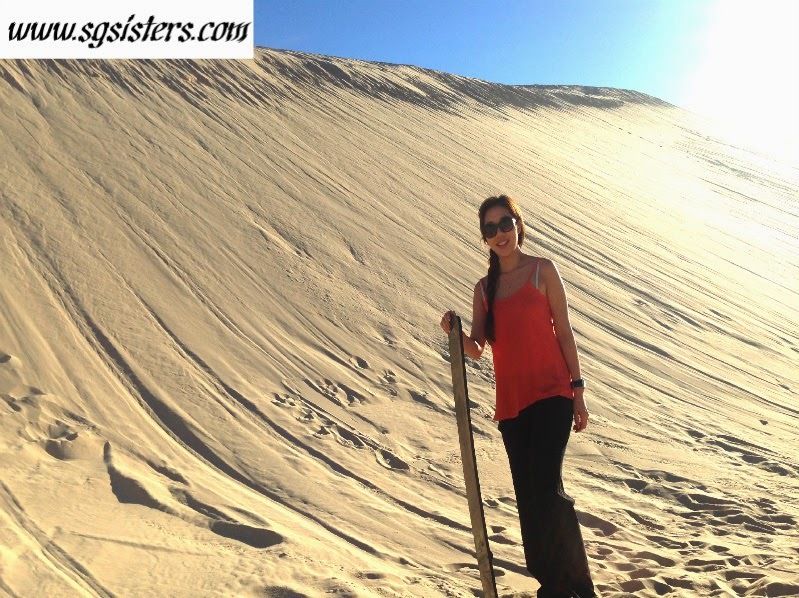 The most memorable activity we did this time was to visit the beautiful Stockton Sand Dunes at Anna Bay, Port Stephens to do Sand-Boarding for the very first time. We were looking forward to slide down massive 40 metres high Sand Dunes on a thin black board as we have heard many of our friends raving about their unique and memorable experience. 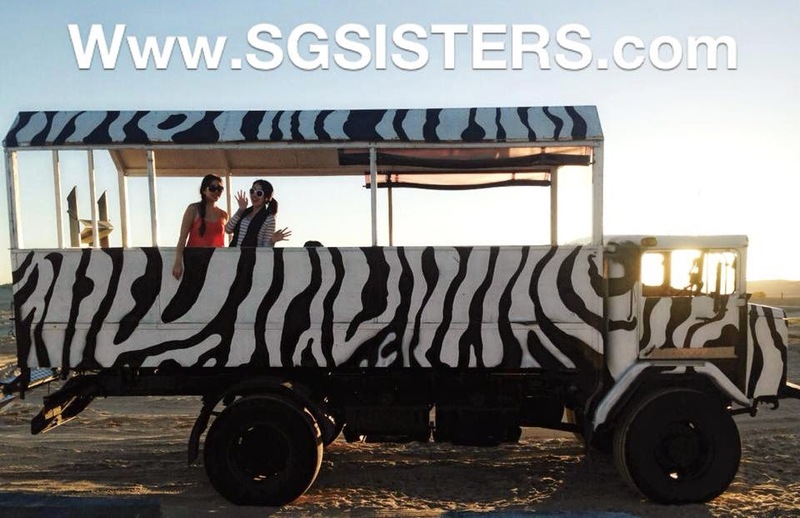 The last time my sister Lora and I ever stepped onto real sand dunes was our visit to Dubai's desert safari. We were pleasantly surprised to find sand dunes in Australia! We even spotted camels on the sand dunes how interesting! SAND-BOARDING at Stockton Sand Dunes - We parked our car at the lower end of Birubi Point Car park and hopped onto a Zebra striped vehicle that brought us through the bumpy sand dunes to reach our destination point. 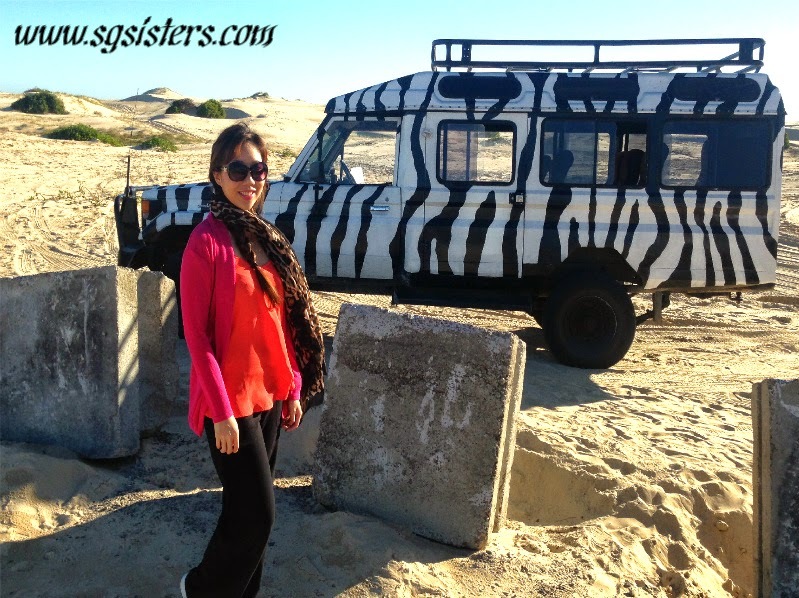 Upon reaching, we were overwhelmed by the beautiful and massively tall sand dunes. After a short briefing by our friendly guide who taught us how to slide down safely on the boards, we started getting busy as climbing up the tall sand dunes proved to be rather tiring if not difficult. Filled with excitement and a little trepidation, we took off our shoes and ran towards the beautiful sand dunes. The sand was really soft and we enjoyed sinking our bare feet into them. 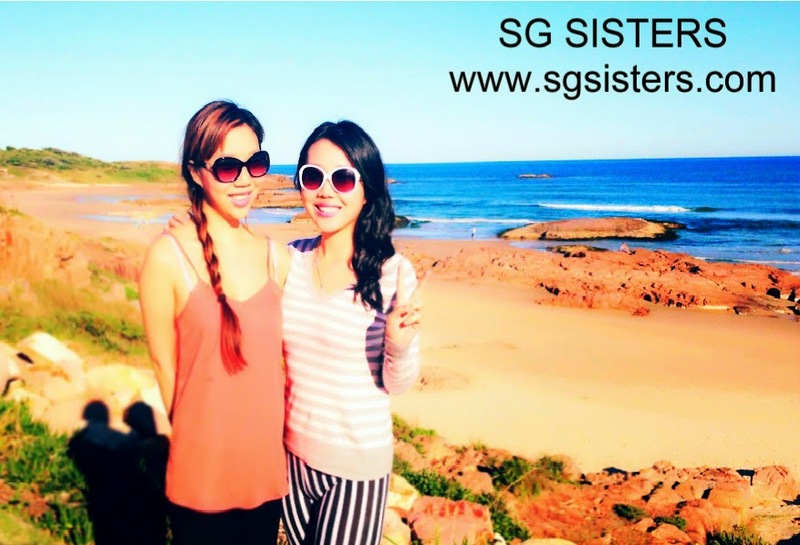 We wore sunglasses and scarves to protect our eyes and mouth from the sand. As it was our first time, we started sliding down the smaller sand dunes first and my my, we were shocked how fast we were going as there was almost no or little friction. The only way that could slow us down was to sink our hands into the sand to act as "mini-brakes". VIDEOS - We took some interesting and hilarious videos to capture this amazing experience! The very first time Lora and I slide down the small sand-dunes, we were screaming at the top of our lungs as we were shocked that we went down quite fast. It was really fun! I also won the competition where I managed to slide down faster than Chris who was lagging behind. Hilarious! 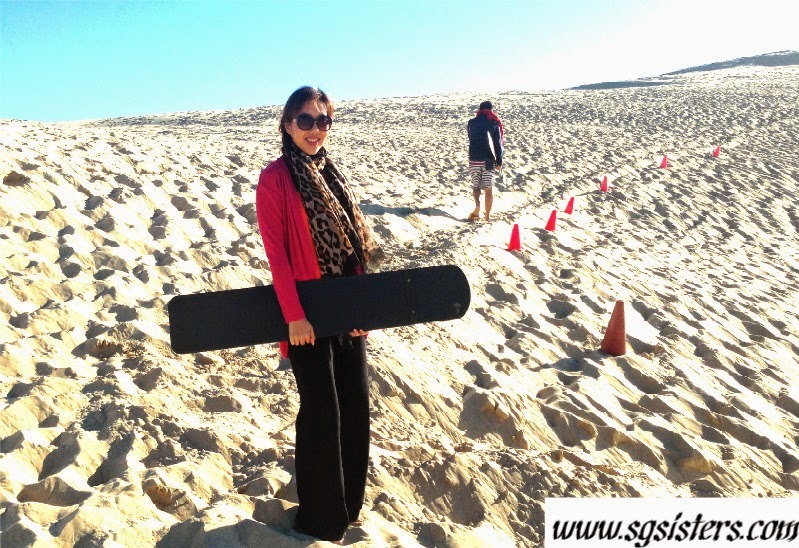 Overall, Sand-boarding is a really fun and adventurous activity that you must try at least once in your lifetime! Visit Australia if you are unable to fly to Dubai to enjoy this unique experience! It was a great way to exercise too as climbing up the sand dunes required lots of effort. Tiring but extremely fun!